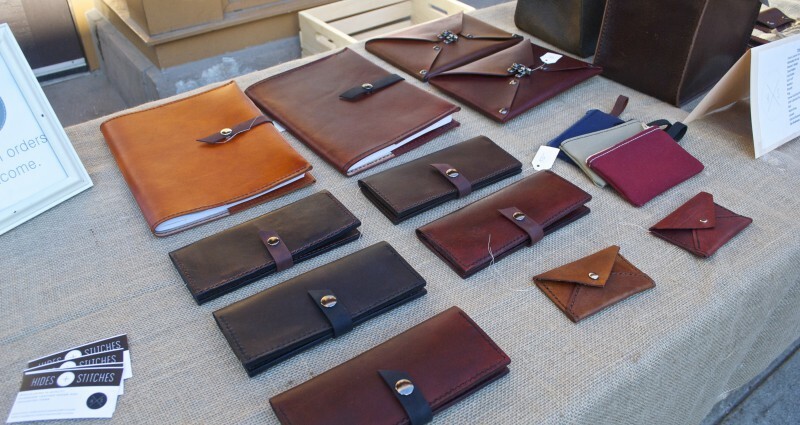 Functionality and classic, minimalist style come together in the form of handmade leather goods by Hides and Stitches. Dan and Tiffany Garbowitz talk working with high-quality material, managing a busy schedule, and local printmakers. Clean, classic, high quality, and meticulously assembled. These leather goods by Dan and Tiffany Garbowitz were a clear standout at The Market on First Fridays in June. 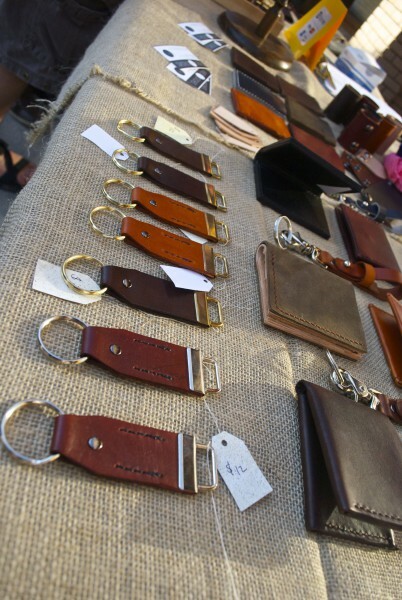 Belts, lanyards, and a variety of wallets come in a range of tasteful neutral colors that compliment anyone’s personal taste. With stylish, minimal design, everything Hides and Stitches offers is designed for function and longevity. What Grand Rapids artist inspires you? All of the artists in Grand Rapids have so much talent to offer and are easy to admire. Currently I'm really into all of the printmakers who are making awesome stuff: Woosah, Grow Up Awesome, and Runaway Press come to mind. Their apparel is so cool and unique, it's so tempting to buy something from everyone! What is your favorite restaurant in Grand Rapids? Our most frequented restaurant in GR is Twisted Rooster because it is close to home and offers Brewery Vivant's Farmhand. The Green Well is another favorite because everything on the menu is delicious. Dan: Finding the beauty in mathematics and the math in everything. Tiffany: Reading all the time and hunting down books in thrift stores. 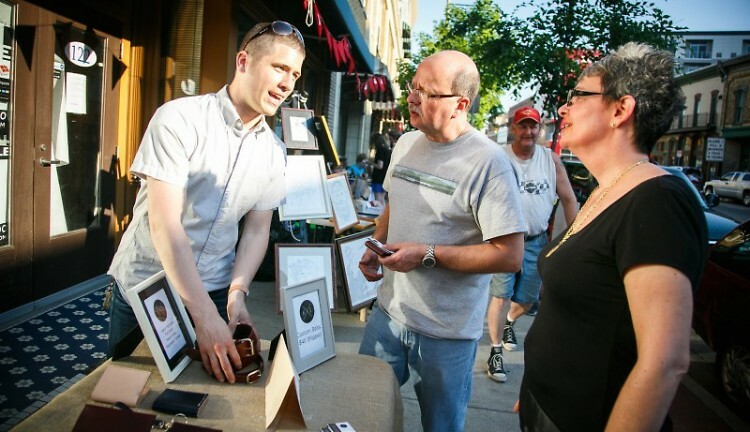 As we count down to The Market on First Fridays in August, look out for a new article every Wednesday! Learn about a participating vendor each week in July in the Vendor Spotlight Series. If you missed it, check out previous featured vendors, Taylor Bultema and Rose Beerhorst! The Avenue for the Arts is a neighborhood title for the South Division commercial corridor. We are residential, commercial and nonprofit groups working together in a creative community. We are residents in Heartside, and active participants in shaping change in our neighborhood. In 2005, we choose the Avenue for the Arts as a title to represent our commercial corridor and the projects and events that we create. Because the Avenue is powered by volunteers guest writers create our Rapidian content. Special thanks to Leah Burke, Avenue member and writer for her coverage of "The Market on First Fridays"